It is now speculated that nutrition or malnutrition during the “first 1,000 days” (a woman’s pregnancy through her child’s second birthday) can either promote proper brain development and optimal growth and immune system support, or it can potentially predispose a child for obesity and other chronic conditions. Katharine Murphy, Certified Nutritional Therapy Consultant, Licensed Clinical Social Worker and mother of two is our nutrition expert, here to guide you on how to nourish your body and baby with the most yummy and nutrient-dense foods. With her support and guidance, Moms-to-be can fuel themselves for stable energy and an enjoyable pregnancy, while helping to keep nutritional deficiencies, gestational diabetes, swelling and other common pregnancy complications at bay. 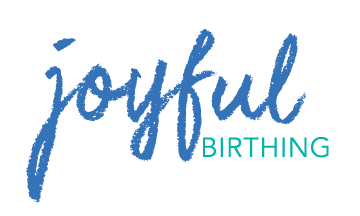 She offers consultations for fertility and prenatal nutrition, optimal diet for breastfeeding and preventing or reducing infant colic, introducing baby’s first foods, and toddler feeding that discourages picky tendencies. – Nutrient-dense, low glycemic foods plus 20-30 minutes of walking or movement can reduce chances for gestational diabetes, preeclampsia, and other pregnancy complications. – Consistently choosing nourishing foods before, during, and after pregnancy can improve energy, brighten skin, and reduce excessive weight gain and related symptoms, while providing your baby with all of her key nutrients for growth. – A balanced, nourishing diet serves as a critical piece of self-care; love and nourish your body and baby with nutrient-rich, delicious foods to reduce the daily stress and toxin load during an important time of love and growth for both Mom and Baby. Katharine offers in-person or Skype consultations at $75/hour; typically only 1-2 one hour sessions are recommended. She encourages Moms-to-be to reach out early in pregnancy for support through morning sickness and to proactively reduce the likelihood of iron deficiency, gestational diabetes, swelling and other common issues. Consultations include a brief questionnaire, one day food journal, a one-page plan of food/supplement recommendations including a sample daily menu, and follow up emails. The first 1,000 days of a child’s life – the nine months of pregnancy and first two years – is a critical time of development that can set a child up for optimal health well into adulthood. 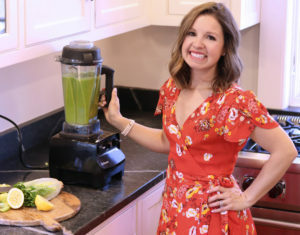 Join Katharine Murphy, our Certified Nutritional Therapy Consultant, who will teach you how to nourish your body during pregnancy and lactation, how to introduce your infant to her first tastes of real food, and how to feed the whole family in way that prevents common issues like allergies, eczema, constipation, attention issues, diabetes and more. She will share some of the best foods, supplements, and lifestyle choices that will set you and your baby up for a vibrant and healthy future. This workshop is for couples trying to conceive, couples who are pregnant, new parents, and Mamas trying to replenish their nutrient stores before growing their family again.